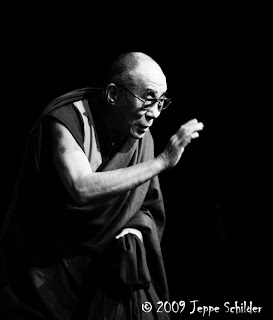 The Dalai Lamas have functioned as the principal spiritual guide to many Himalayan kingdoms bordering Tibet, as well as western China, Mongolia and Ladakh. The literary works of the Dalai Lamas have, over the centuries, inspired more than fifty million people in these regions. Those writings, reflecting the fusion of Buddhist philosophy embodied in Tibetan Buddhism, have become one of the world's great repositories of spiritual thought. 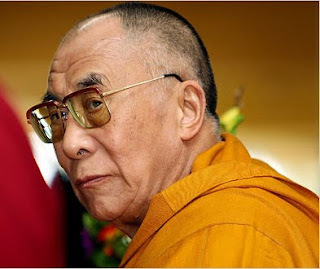 In religious terms, the Dalai Lama is believed by his devotees to be the rebirth of a long line of tulkus who descend from the bodhisattva Avalokiteśvara. Traditionally, His Holiness is thought of as the latest reincarnation of a series of spiritual leaders who have chosen to be reborn in order to enlighten others. The Dalai Lama is often thought to be the director of the Gelug School, but this position belongs officially to the Ganden Tripa, which is a temporary position appointed by the Dalai Lama who, in practice, exerts much influence. 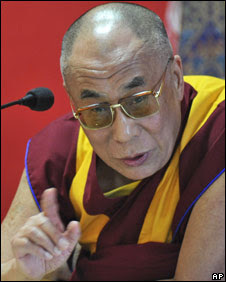 Between the 17th century and 1959, the Dalai Lamas were the directors of the Tibetan Government, administering a large portion of the area from the capital Lhasa, although the extent of that lineage's historical authority, legitimacy and claim to territory has been recently contested for political reasons. 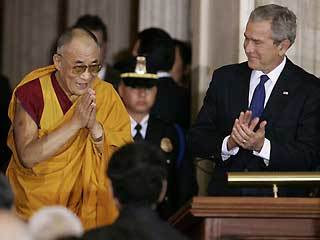 Since 1959, the Dalai Lama has been president of the Tibetan government-in-exile, or Central Tibetan Administration (CTA). During 1578 the Mongol ruler Altan Khan bestowed what would later become the title Dalai Lama on Sonam Gyatso, which was also later applied retroactively to the two predecessors in his reincarnation line, Gendun Drup and Gendun Gyatso. Gendun Gyatso was also Sonam Gyatso's predecessor as abbot of Drepung monastery. 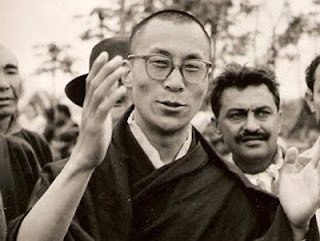 However, the 14th Dalai Lama asserts that Altan Khan did not intend to bestow a title as such and that he intended only to translate the name "Sonam Gyatso" into Mongolian. - the establishment of international and regional organisations for the promotion and protection of human rights would be encouraged in Tibet. Tibet's height and size (the size of the European Community), as well as its unique history and profound spiritual heritage makes it ideally suited to fulfill the role of a sanctuary of peace in the strategic heart of Asia. It would also be in keeping with Tibet's historical role as a peaceful Buddhist nation and buffer region separating the Asian continent's great and often rival powers. In order to reduce existing tensions in Asia, the President of the Soviet Union, Mr. Gorbachev, proposed the demilitarisation of Soviet-Chinese borders and their transformation into "a frontier of peace and good-neighborliness". The Nepal government had earlier proposed that the Himalayan country of Nepal, bordering on Tibet, should become a zone of peace, although that proposal did not include demilitarisation of the country. For the stability and peace of Asia, it is essential to create peace zones to separate the continent's biggest powers and potential adversaries. President Gorbachev's proposal, which also included a complete Soviet troop withdrawal from Mongolia, would help to reduce tension and the potential for confrontation between the Soviet Union and China. A true peace zone must, clearly, also be created to separate the world's two most populous states, China and India. The establishment of the Zone of Ahimsa would require the withdrawal of troops and military installations from Tibet, which would enable India and Nepal also to withdraw troops and military installations from the Himalayan regions bordering Tibet. This would have to be achieved by international agreements. It would be in the best interest of all states in Asia, particularly China and India, as it would enhance their security, while reducing the economic burden of maintaining high troop concentrations in remote areas. Tibet would not be the first strategic area to be demilitarised. Parts of the Sinai peninsula, the Egyptian territory separating Israel and Egypt, have been demilitarised for some time. Of course, Costa Rica is the best example of an entirely demilitarised country. Tibet would also not be the first area to be turned into a natural preserve or biosphere. Many parks have been created throughout the world. Some very strategic areas have been turned into natural "peace parks". Two examples are the La Amistad Park, on the Costa Rica-Panama border and the Si A Paz project on the Costa Rica-Nicaragua border. Let me end with a personal note of thanks to all of you and our friends who are not here today. 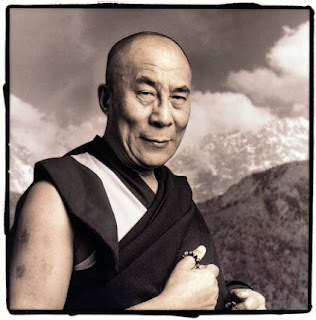 The concern and support which you have expressed for the plight of the Tibetans have touched us all greatly, and continue to give us courage to struggle for freedom and justice: not through the use of arms, but with the powerful weapons of truth and determination. I know that I speak on behalf of all the people of Tibet when I thank you and ask you not to forget Tibet at this critical time in our country's history. We too hope to contribute to the development of a more peaceful, more humane and more beautiful world. 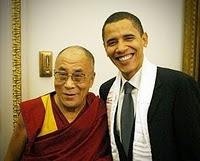 A future free Tibet will seek to help those in need throughout the world, to protect nature, and to promote peace. I believe that our Tibetan ability to combine spiritual qualities with a realistic and practical attitude enables us to make a special contribution, in however modest a way. This is my hope and prayer.